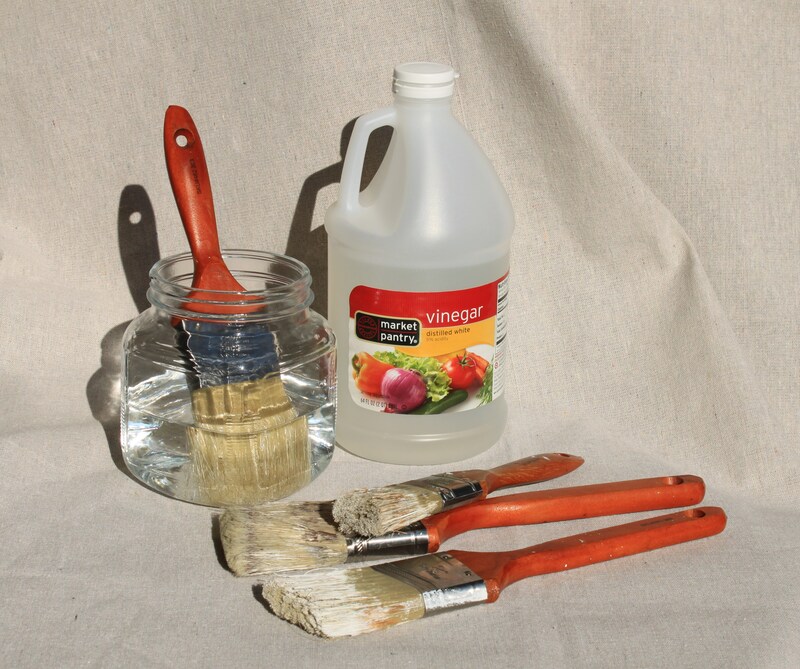 You can clean your used paint brushes with white vinegar. Just soak them overnight. Then give them a solid rinse and a good dry. We’ve found this works best if the paint is still wet and not dried on. If your paint is dried on…throw them away.